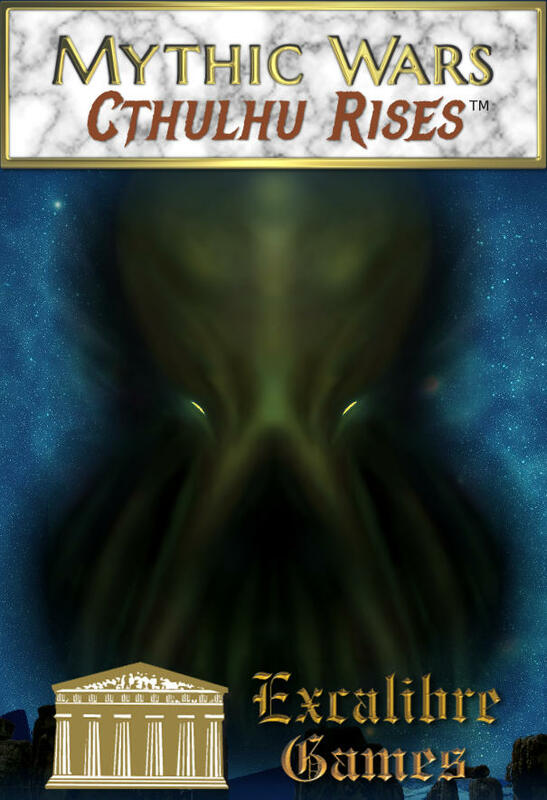 And now, a new challenge appears: from beyond the stars and beneath the sea… Cthulhu Rises! Mythic Wars: Cthulhu Rises is the first expansion set for Mythic Wars, which adds 16 new cards (8 gods and goddesses, and 8 creatures) based on the writings of HP Lovecraft. When combined with the Clash of the Gods base set, 4-8 players can join together and try and defeat the invading Outer Gods, including Azathoth, Nyarlathotep, Cthulhu, and many others. It’s an entirely new way to play Mythic Wars! Get ready for the ultimate Mythic Wars co-operative experience, because when the stars align, Cthulhu Rises!